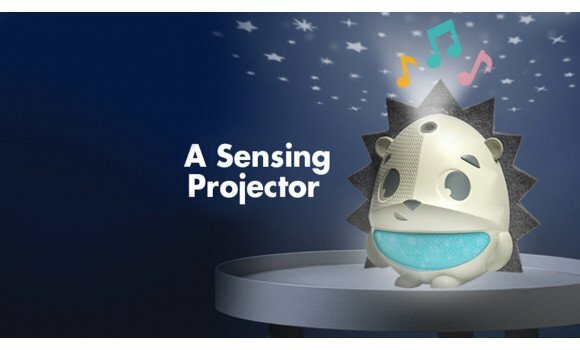 Novel projector soother with starlight projector, cry sensor, sweet lullabies and an MP3 player. 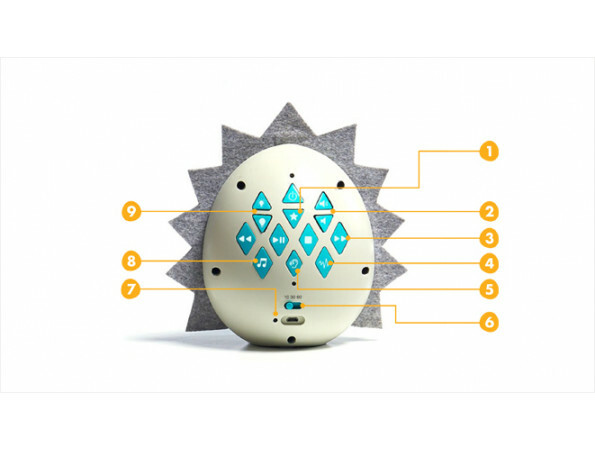 A sensing soother for the perfect sleep! 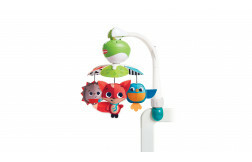 Starlight projector and soft music lull baby to sleep by creating a soothing and relaxing bedtime atmosphere while supporting baby's EQ. Fitted with a built-in MP3 that allows parents to create their own playlist for baby and 17 preset sweet lullabies. 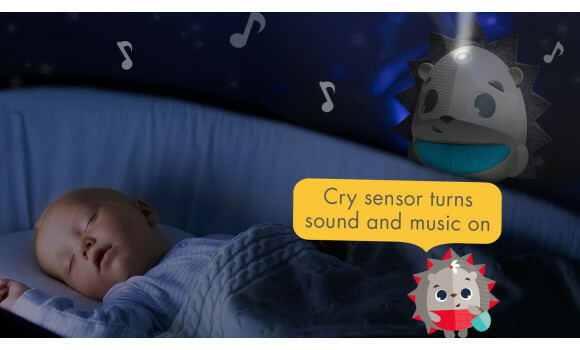 Specially designed cry sensor carefully monitors babies' sleep, automatically turning on soft music to help lull baby back to sleep. 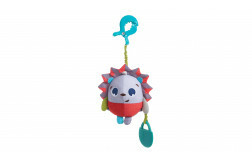 Auto-timer allows parents to set soother to automatically shut down after 10, 30 or 60 minutes. 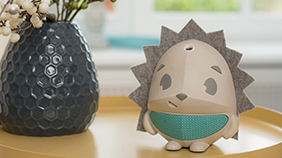 Designed in the image of Marie, an all-smiles curious hedgehog named after the great scientist, Marie Curie. 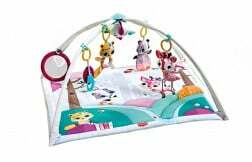 Place by baby's crib to surround your young baby with a peaceful, relaxing and familiar environment. Try playing other sounds or music you find relaxing using the MP3 player and see how your little one responds. 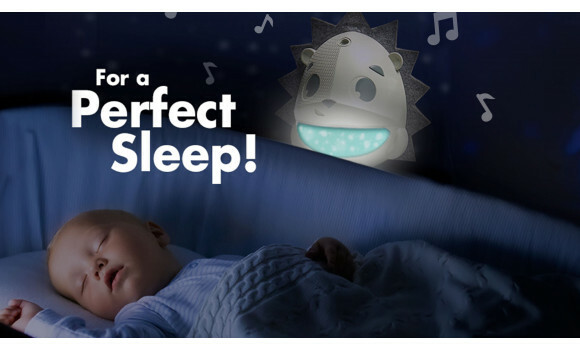 Include the Sound 'n Sleep Projector Soother in your bedtime routine and let the engaging combination of soft light and music help prepare your little one for sleep. Create a special playlist for your baby using the MP3 player. 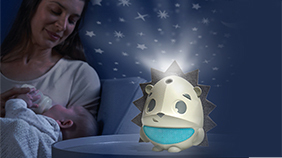 Now that baby is older, the cry monitor can assist in getting baby to sleep for longer stretches during the night, getting back to sleep more easily if awoken. 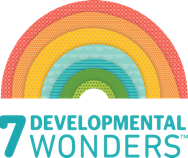 The familiar projector can continue being a part of baby's comforting bedtime routine well into toddlerhood. 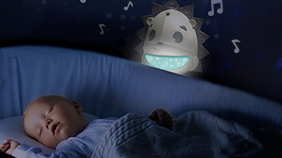 The built-in MP3 will let you adapt the music to baby's changing musical preferences. 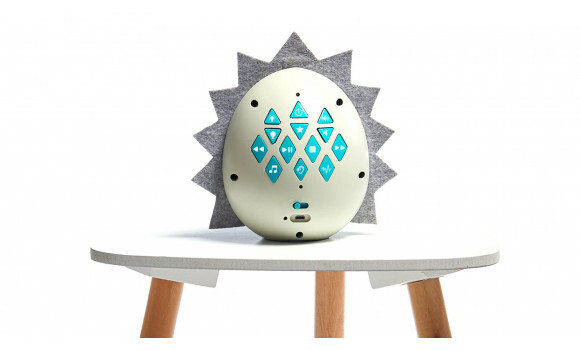 Choose from a variety of 17 preset lullabies included in the soother. 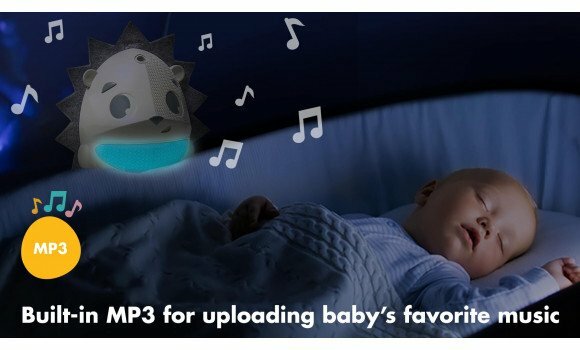 Use the MP3 player to play your own music to baby. From favourite upbeat songs while baby is awake to relaxing sounds of the sea or your own favorite lullabies when it's time to tune down. 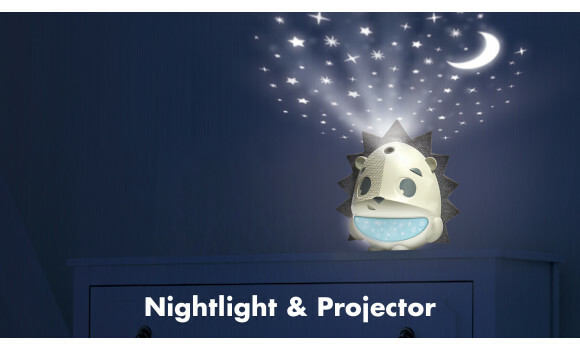 You can choose between the charming starlight projection and soft nightlight to add a little light to your baby's night. 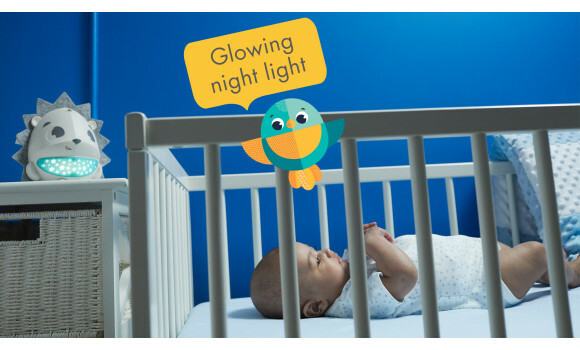 Note that you can dim the nightlight to make sure it doesn't disturb baby's sleep. 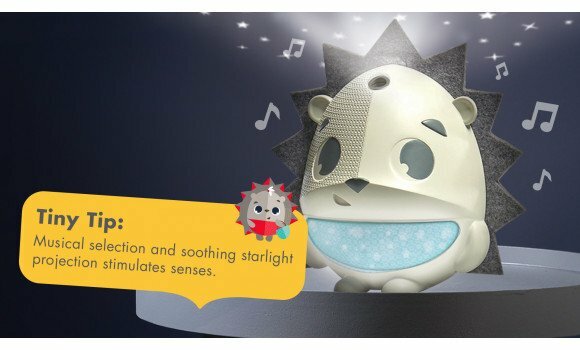 The musical selection and soothing starlight projection stimulate baby’s sense of sound and sight. The soothing atmosphere created by the starlight projection, warm nightlight and soft music help baby fall asleep independently. 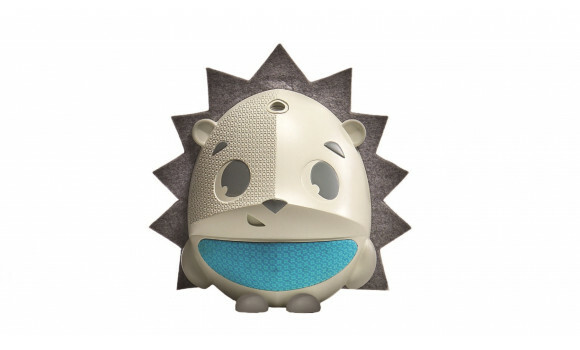 The cry sensor monitors you little ones' sleep, helping babies and toddlers lull themselves back to sleep after waking up.